With a FullView Display, powerful Qualcomm Snapdragon Quad-core Processor, and 3360 mAh battery, the Vivo Y71 smartphone has been created to impress you with an immersive visual experience, lag-free multitasking, and uninterrupted performance. The 18:9 FullView Display comes with a narrow bezel and a screen-to-body ratio of 84.4 percent. As a result, you can enjoy an immersive visual experience on this compact and lightweight smartphone. It also makes it that is easy to carry and operate using one hand. The rear camera comes with a fast focus feature to capture even the fleeting moments with crystal clarity. It also manipulates the ambient light to click clear, vibrant, and beautiful photos, even at night. Also, once you’re done clicking photos and taking videos, you need not worry about storage, as this smartphone comes with 16 GB of ROM. To further address your storage woes, you can expand the internal memory by up to 256 GB using a microSD card. 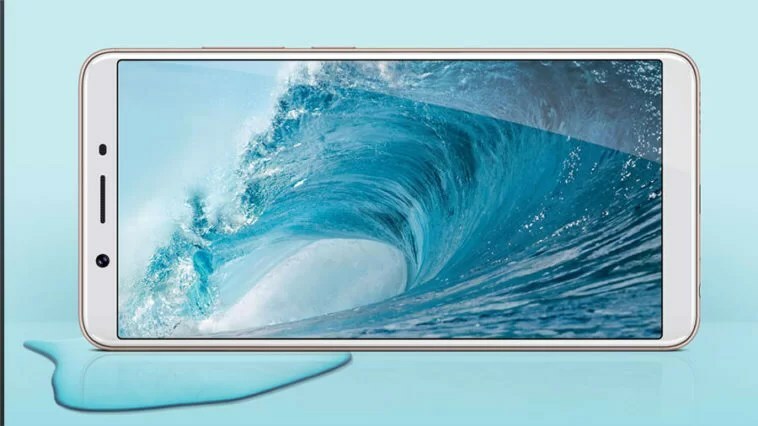 The 3360 mAh battery, along with advanced Android 8.1 OS optimization, offers energy-efficient and uninterrupted performance without the need to charge this phone frequently. This smartphone also comes with the Vivo Smart Engine to provide you with additional power management. The powerful 1.4 GHz quad-core processor, along with 3 GB of RAM and an Adreno 308 GPU, offers a seamless performance. This smartphone also performs defragmentation and memory optimization tasks to ensure a smooth operation. To top it off, this device runs on the Android Oreo 8.1 OS that offers impressive battery life and improved security. When the screen of Vivo Y71 is activated, it scans your facial features and unlocks the device. This security feature ensures that your device acts more like a loyal friend that recognises your face at a glance, than just a smartphone. This Vivo smartphone identifies your age, gender, skin tone and texture to add various beauty effects, making you look more stunning in each selfie. Also, over time, this device understands your face and photographic habits to enhance the quality of your selfies. It optimises ambient lighting for the face to click bright and clear images. This feature helps you multitask easily on the 15.21 cm (6) display. You can chat with friends and watch a viral video simultaneously, without compromising on the video quality or text space.